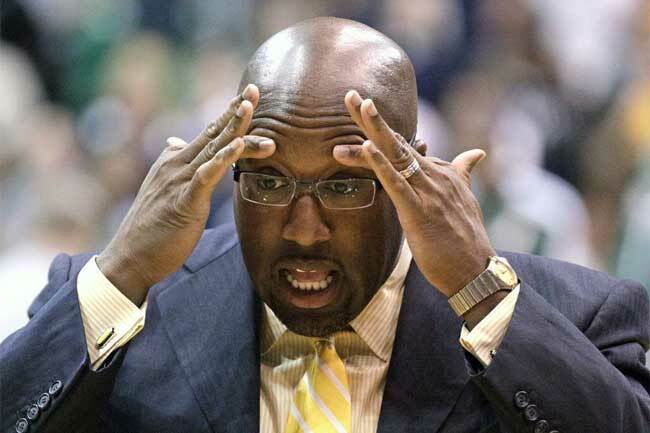 After guiding the team to a 1-4 start, Los Angeles Lakers head coach Mike Brown was fired on Friday. The Los Angeles Lakers fired head coach Mike Brown on Friday, announcing that assistant coach Bernie Bickerstaff would take on an interim role until a replacement is found. A 1-4 start to the season – and the intensive media speculation that came along with it – simply wasn’t good enough for general manager Mitch Kupchack and vice president Jerry Buss. Brown’s firing had been speculated early in the season but the general consensus was that he would be given until January to bring his team of misfiring All-Stars up to scratch. His removal was a surprise to most. Brown was hired by the Lakers during the summer of 2011, following the departure of Phil Jackson. In the lockout-shortened season, Brown’s team recorded a record of 41-25 (.621) but struggled in the playoffs, narrowly defeating Denver before being easily dispatched by Oklahoma City. Speculation mounted during the season that Brown was on the hot seat, a sentiment reiterated by former Laker great and board member, Magic Johnson. Still, the Lakers retained Brown’s services, until Friday that is. 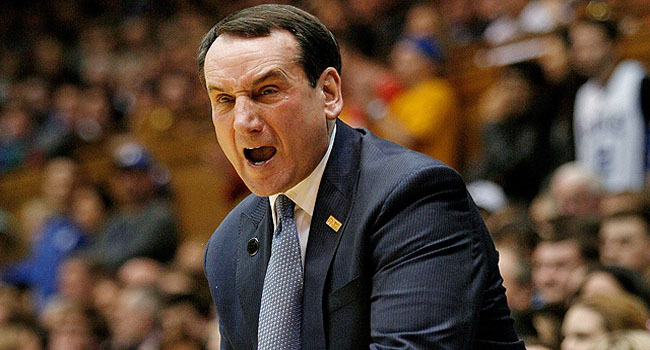 The 2009 Head Coach of the Year compiled an overall record with the Lakers of 42-29 (.592). Brown becomes the eighth coach in Lakers history to be relieved of his duties during the regular season, joining John Kundla, John Castellani, Jack McKinney, Paul Westhead, Randy Phund, Del Harris and Rudy Tomjanovich. In response to the news, the Lakers defeated the Golden State Warriors 101-77 on Friday night. Ironically, the Laker defense, poor all season, put in its best performance. Meanwhile, Dwight Howard played just 24 minutes in an attempt to ease pain on his back while Steve Nash was again absent (leg). Without the two high-profile offseason signings, the Lakers (2-4) did just fine. The search now begins to find a new head coach. Early reports have Phil Jackson and Mike D’Antoni as favorites to take on the role. Jackson has not coached since departing the Lakers at the end of the 2010-11 season. His record of 1155-485 (.704) makes him a viable candidate for any head coaching job, but more importantly, it was Jackson that turned Lakers’ fortunes around. Twice. His arrival in 1999 immediately propelled the side to three straight championships. After retiring in 2004, Jackson returned in 2005 and led the Lakers to another three Finals appearances, and two championships. Mike D’Antoni meanwhile was removed from his duties in New York last season, having led the Knicks to an 18-24 record. Prior to that, D’Antoni had coached three years in the Big Apple as well as five years in Phoenix and a partial season in Denver back in 1998-99. D’Antoni has an all-time coaching record of 388-339 (.534). Were he to be selected for the vacant position in Los Angeles, he would be reunited with Steve Nash, whom he coached in Phoenix. As well as Jackson and D’Antoni, a number of other names have already begun to circulate, including Jerry Sloan, Mike Dunleavy and Nate McMillan. Jerry Sloan has been absent from the league since unexpectedly being fired by the Utah Jazz in 2011. Sloan had coached the side for 18 years prior to his removal, and was considered a Salt Lake City staple. His all-time coaching record is 1221-803 (.603), which includes a three-year stint in Chicago before his lengthy tenure in Utah. Mike Dunleavy’s last assignment in the NBA came with the cross-hallway Clippers between 2003 and 2010. His all-time coaching record of 613-716 (.461) may not be impressive but the Lakers will remember his stint with the club. Dunleavy’s first head coaching role came in 1990 with the Lakers. In two seasons he led the team to a record of 101-63 (.616) and a trip to the NBA Finals, where they lost to Michael Jordan and the Chicago Bulls on their way to a first NBA title. McMillan was another casualty of last year’s lockout shortened season. He was dismissed from Portland, leaving the team with a 20-23 record. In 12 years with the Blazers and Seattle Sonics, McMillan tallied a record of 478-452 (.514). As we speak, oddsmakers will be addressing the coaching vacancy and putting together a list of viable candidates. Expect the almost obligatory inclusion of Mike Krzyzewski (Duke/Team USA) and a possible nod for Tomjanovich. The latter is currently a scout for the Lakers and despite a rough run as head coach in 2004-05, might be considered a suitable replacement. Once a list of candidates is established, bookmakers will be busy updating the NBA Futures, with the Lakers’ odds likely to lengthen.